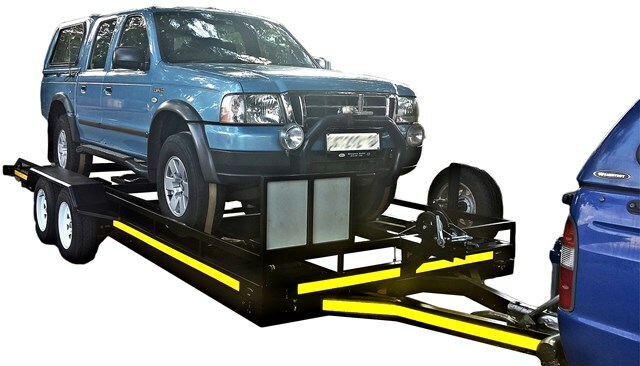 This car transporter trailer for hire is a heavy duty double axle unit for hire with a carrying capacity of 2800kg. 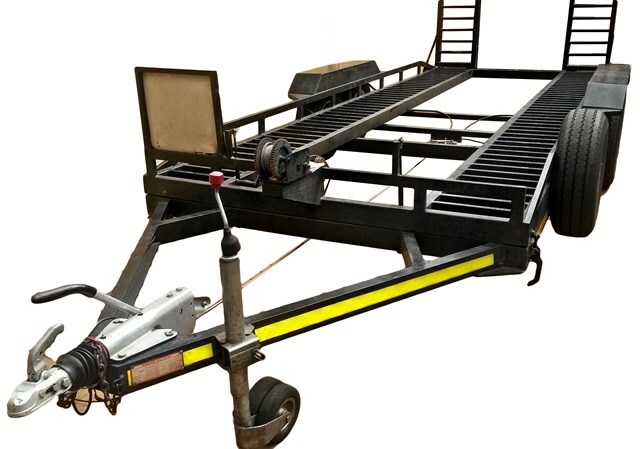 Designed to transport cars, bakkies and 4x4’s, the unit can be used as a flatbed trailer to move other heavy objects like Wendy houses and palm trees. Additional features: Drop-down ramps for easy loading and double axle with onboard brakes. Tow vehicle requirements: Cars,1 Ton bakkies or 4x4’s with a minimum engine size of 2.5ℓ and larger.